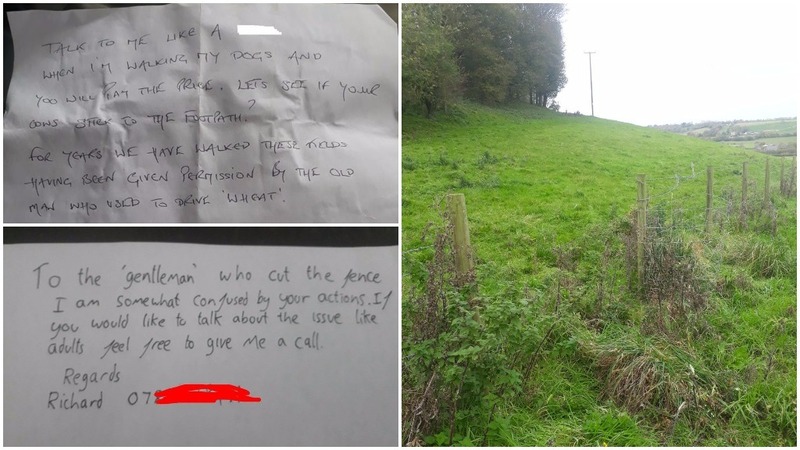 A farmer has spoken out after he found an offensive letter pinned to a damaged fence while out searching for his escaped calves. Harper Adams graduate Richard Felce, 24, took to social media after finding the note and the fence which had been purposely cut open on his farm in Kent. The note read: "Talk to me like a **** when I’m walking my dogs and you will pay the price. Lets see if your cows stick to the footpath. "For years we have walked these fields having been permission by the old man who used to drive ’WHEAT’. "But times change - enjoy the chase you ****. "Regards, a gentleman and his partner." Bemused by the situation, the young farmer posted his findings on Twitter. He tweeted: "Ever wondered why farmers are perennially grumpy? Have a read of what I found when investigating how some calves got out this morning..."
Mr Felce told Farmers Guardian: "None of us, or the gamekeeper, or anyone that we can work out has had a run in with any walkers recently. But the fence has been done at some point in the last two days - anytime from midday Monday to Tuesday morning. "We can only assume it was someone who we have previously pointed out them not being on the footpath in a neighbouring field where we often have walkers. "But from what we can recall, we haven’t had any nasty confrontation for years. The last time I had anything to do with walkers/visitors to the area was when I left a politely worded, but rather sarcastic, note on someone.s car who had blocked the entrance to this same field so I couldn’t get in to give the cows a bale of hay." "I just left a polite note in the place of where his note had been left. I personally feel it is a waste of time to contact the police as many people have been calling for. "Without a suspect there is nothing they can do and will only result in more of my time taken up on this issue with no favourable outcome. "I’m not that shocked by the situation growing up farming on the rural urban fringe. I’m kind of conditioned to this sort of behaviour. It’s just they don’t usually leave such lovely notes. "Which is why I thought it was worth sharing. It can end up taking up a lot of time and emotion if you let these things bother you, I find." 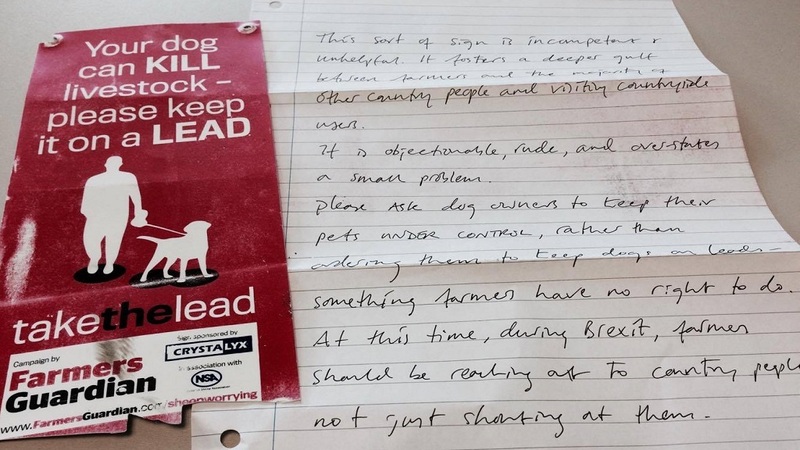 The incident comes just two months after a Farmers Guardian ’Take the Lead’ sign was ripped down by an angry dog walker who described sheep worrying as a ’small problem’. FG editor Ben Briggs received an anonymous letter with the torn-down sign which was described as ’objectionable and rude’.